Once again, hunters pursuing caribou in the Nelchina herd have not been successful enough to ease biologists' fears of a population crash, prompting the Alaska Department of Fish and Game to extend the fall season another 10 days through Sept. 30 and urge shooters to harvest cows. The popular Nelchina hunts attract more hunter participation than any in Alaska — although more caribou are taken by hunters of the huge Western Arctic herd. A Fish and Game estimate from earlier this year put the Nelchina herd at nearly 50,000 animals — well above the 35,000-40,000 biologists consider ideal to prevent the herd from overgrazing its range, something that could trigger a sudden decline. "A series of mild winters and relatively low predation have combined to boost Nelchina caribou numbers," said Todd Rinaldi, Fish and Game's regional management coordinator. "To prevent further herd growth, hunters are encouraged to harvest cows. Later in the hunting season, as caribou bulls enter the rut and meat develops a strong and gamy taste, hunters often prefer to harvest cows." Rinaldi said Fish and Game has "really high" confidence in its numbers, even though poor flying conditions scuttled another count planned for this summer. Earlier this year, at the end of the Nelchina winter hunt in March, an emergency order was issued allowing some 12,000 of what are termed Tier 1 hunters plus 1,000 community subsistence permit holders to take a second caribou during the hunt's final month — doubling the bag limit for those hunters. The Nelchina caribou hunt has long been one of Alaska's largest, mainly due to its accessibility from the Denali and Richardson highways. Last year, Fish and Game issued 14,500 caribou permits for Game Management Unit 13, with about 6,000 animals harvested. GMU 13 stretches east of the Matanuska-Susitna Borough and Denali National Park all the way to Glennallen, Gulkana, Chistochina and Slana along its eastern edge. Both the Glenn and Denali highways bisect it. Rinaldi estimated that about a third of the herd remains inside the borders of GMU-13. 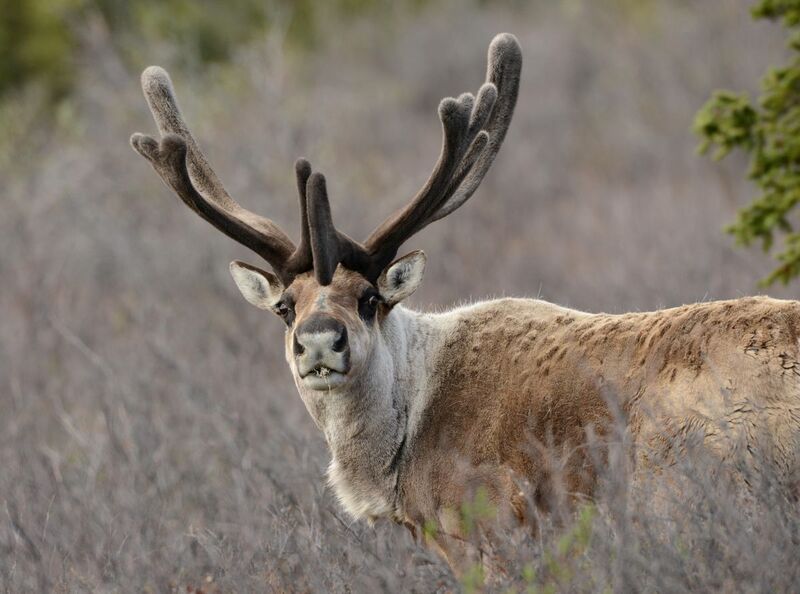 Some 2,700 caribou have been taken since the Aug. 10 opener — with several hundred more taken by federal subsistence hunters who have been in the field since Aug. 1, Rinaldi said. Caribou herds fluctuate wildly, and there's only so much biologists can do to ease the severity of those cycles. The Nelchina was as big as 71,000 caribou in 1962 — although counting methods were more primitive back then — and has crashed to fewer than 10,000 animals. By extending the season, hunters get an additional 1½ weekends for hunting Nelchina caribou. "It's a tremendous hunting opportunity for residents," Rinaldi said. "It maximizes the potential for harvest. "We got more than 6,000 last year and we're aiming for that number again." The hunts affected are RC566, CC001, and DC485. Correction: An earlier version of this story misstated the number of weekends that have been added to the hunt.